I have been using GPS for quite a number of years for my botanical research/interest as well as outdoor pursuits. I bought my first GPS receiver almost 15 years ago (1994) and used it extensively for creating and mapping hiking trails, marking interesting botanical finds, finding my way driving through Canada/US on holidays, measuring perimeter and area of fields/plots, finding and mapping health facilities, and much more. I started doing basic GIS work with air photos and 'ground truthing' over 20 years ago (1988) using image processing software such as NIH Image and PhotoShop on the Mac. I also did some work with Map II along with various CAD programs while working in the Faculty of Architecture CAD lab. I use ArcView and ArcGIS extensively in my current work to generate base maps and geocode locations. In combination with GPS information I have worked with field data and computerized raster/vector based GIS information. I have taught workshops on the use of GPS for canoeing, hiking and more recently GeoCache hunts. Starting in 2000, in an attempt to reduce my workload, I started teaching workshops on the use of GIS in health. These workshops incude the use of ArcView ® 3.x, ArcGIS desktop® , fGIS TM, Epi MapTM, and some others. I have posted some of the notes from these workshops on the this page. I have also put a more general workshop together on navigation with Maps, Compass and GPS. 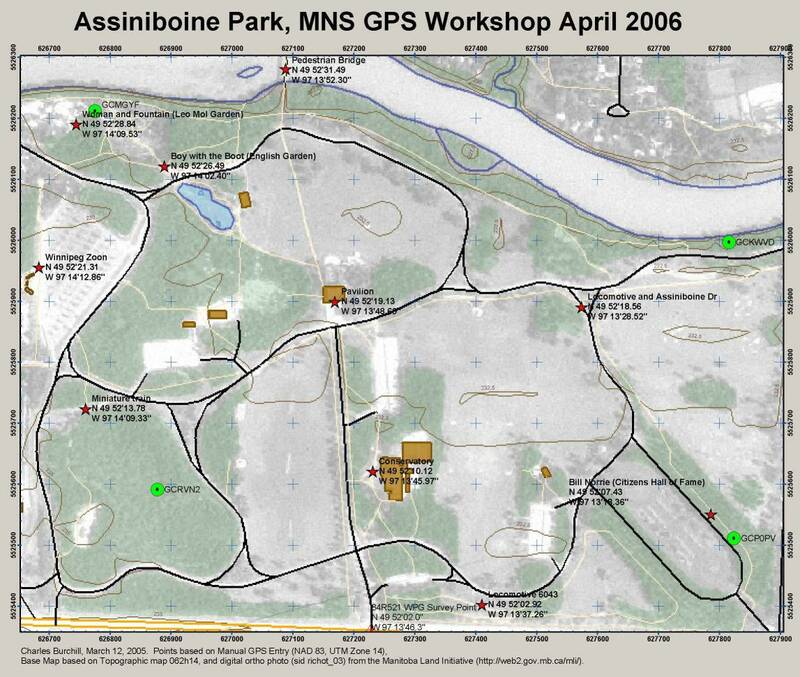 I developed a very basic GPS workshop for the Manitoba Nature outdoor program. Additional information was added when developing course material for Recreation Services (University of Manitoba) and information material for the sales people at the Winnipeg MEC store. The workshops follow a general outline. The actual course content changes slightly depending on the location and equipment available. Map of UofM with points (PDF ~1.6MB). A rough comparison of GSP 60 and iFinder Pro tracks providing an idea differences between GPSr units for tracking and marking locations or another comparison under more difficult conditions. 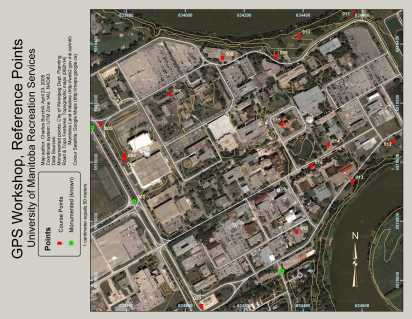 I compiled some locations for GPS validation that the participants may find of use. These points come from GeoBase (http://www.geobase.ca/) Geodetic Network information on Federal 3-D Densification Network, Canada, Level 1 (FED3DC1) - sheets 062H, 062I, 062O, 062P, 062J, 062G, 052L, 052E. I have not confirmed that all of these sites still exist so use at your own risk. 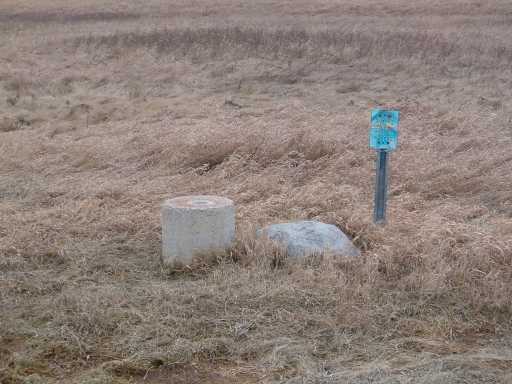 Some of these sites may be on private land or areas with restricted access. Please respect private property and ask permission of the land owner. The above information is only a summary of the information for each point; it is not complete. 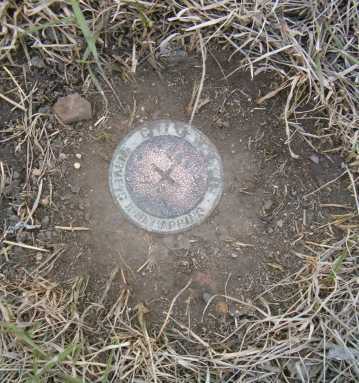 The above information links go to The Association of Manitoba Land Surveyors. 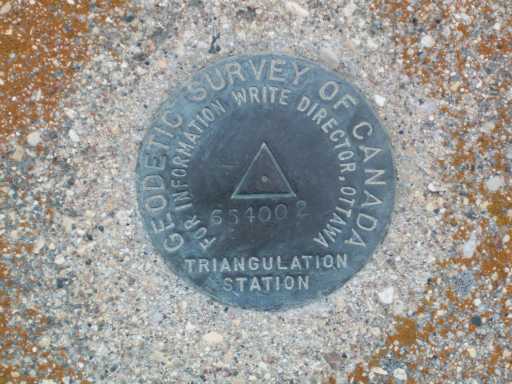 There is a geocache called "DLSS Monument" that uses the DLSS monument, a geodetic survey of Canada marker, and a local survey marker. 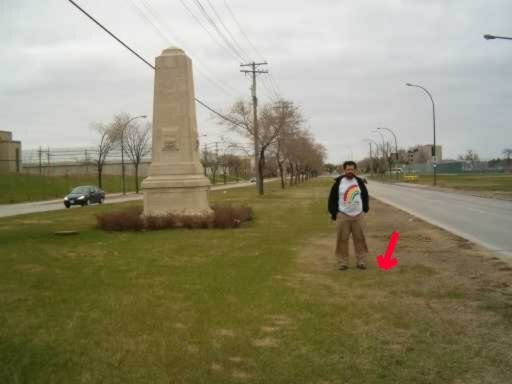 The Centennial Survey Monument is also a 'Virtual Geocache called "First Post - Winnipeg"
One of the questions I had, and have heard from others, is "what do these survey point/benchmark things look like anyway"? Here are a couple of examples. 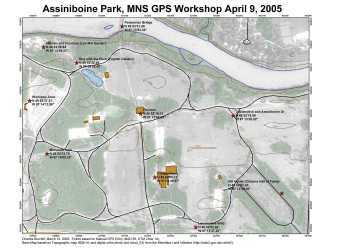 Geocaching in Manitoba Provincial Parks including policies and procedures regarding hides. Parks Canada (National Parks) and Geocaching including policies and procedures regarding hides. Q GIS project Starting with v. 2.01 I quite like this software. GSAK (Geocaching Swiss Army Knife) http://www.gsak.net/ This is a really good package if all you do is geocache. fGIS - Although updates for this product are no longer free from WN DNR this version continues to be free for use. This wass one of my favorite inexpensive GIS packages - small easy to use but limited. Manitoba Land Initiative http://web2.gov.mb.ca/mli/ If you want to map or display ArcView Shape files from this site try ArcExplorer from ESRI or fGIS above. Where to see, buy and sometimes get advice. These are places that I have bought GPSr equipment from and/or they supported the workshops I have taught. This list should not be taken as a complete endorsement. Before you buy always do some homework first. Just remember when getting advice at stores they will often try to sell you up - know what you need before shopping then listen to their suggestions with a critical ear and ask questions! That being said I have received excellent advice from the places I have dealt with below. If possible try out the GPSr under 'real' conditions not just the parking lot. Mountain Equipment Co-op (MEC) Limited selection that is directed to the self-propelled outdoor user. A good place to start. Cabela's Directed at hunting/fishing but have a lot of other things as well. I am not sure how things have changed with the move to Cabela's but lots of people I know frequent the store. You should know what you want first and do your own research. Don't expect in person support or demonstrations.